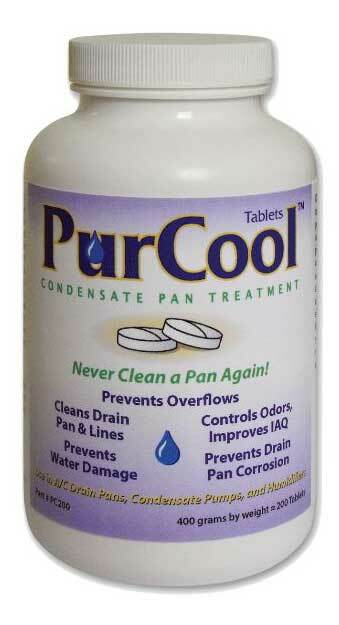 Powerful condensate drain pan treatment products to eliminate and prevent slime, sludge, and other build-up in air conditioning condensate drain pans. Drain line treatments will clean the drain pan and drain lines of slime and sludge and keep condensate drain pans flowing freely. 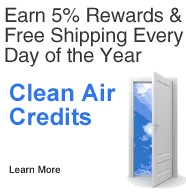 A/C drain cleaners will also prevent condensate drain pan overflows and the costly damage to ceilings and floors caused by these overflows. 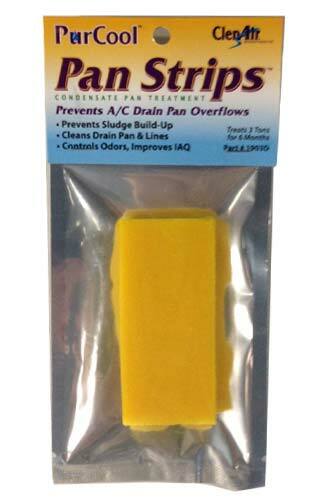 Use on a regular basis to prevent buildup and sludge in A/C drain pans, condensate pumps, and humidifiers.